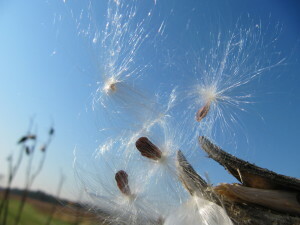 How thrilling to see the milkweed fluff catch the wind with a shimmering glimmer and dance away into the sky! But how very disappointing when deeply-felt wishes sank to the ground, tangling on other plants or drowning in a nearby puddle. 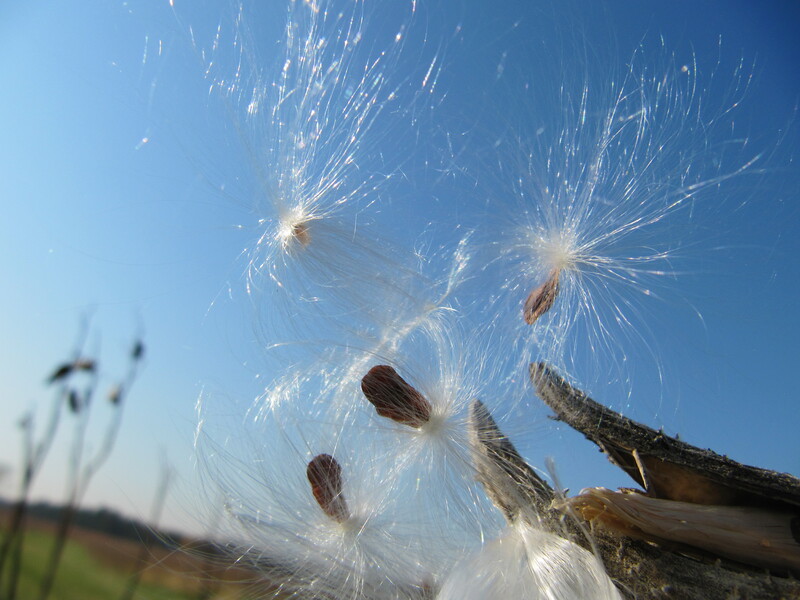 Every fall, I still seek out ripe milkweed pods, blowing wishes by the dozens into the air. But I am content now to let them fly or fall as they will. My fulfillment and contentment do not depend on a bit of silk tossed here and there on the air. These things depend upon me – upon what I choose to do with my life, and with what I choose to do with the tough things life throws my way. Knowing that, I am free to stand in a field with the joy of a child, blowing milkweed wishes up to the sun.